The final fights in the fascinating and hugely exciting World Boxing Super Series are soon to be upon us, at both super-middleweight and at cruiserweight. And in terms of the 200 pound tournament, many fans and experts are picking unbeaten Ukrainian star Oleksandr Usyk to pick up The Muhammad Ali Trophy. Of course everyone wants a piece of AJ – THE top ticket seller in all of heavyweight boxing today, and Usyk certainly has shown skills that could take him to success in the sport’s premiere weight division. At 6’3” Usyk is no huge man but there have been smaller, less tall fighters who have made it at heavyweight over the years. And with his experience – European amateur champ, World amateur champ and Olympic gold medal winner – the 31 year old has seen it all style-wise. Who knows, Usyk might be just two wins away from his heavyweight debut. Whether that fight would be an immediate shot at a world title or not remains to be seen. Usyk, who has fought up at heavyweight as an amateur, is already on some pound-for-pound lists and he is arguably the finest top level fighter many people have not (yet) seen in action. 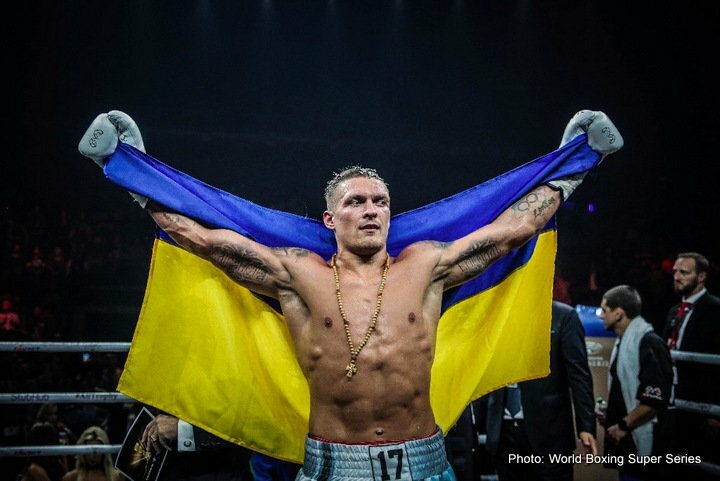 True global stardom will be Usyk’s if he can win The WBSS AND then go on to rule at heavyweight.